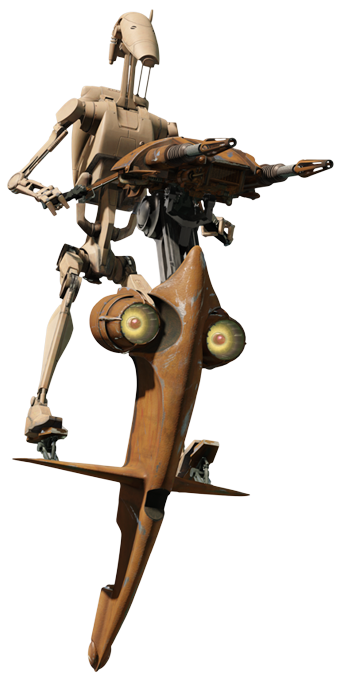 Description: The Single Trooper Aerial Platform (STAP-1 or STAP) was an agile flying machine designed for use by the Trade Federation's and Confederacy of Independent Systems' B1 battle droids. Single Trooper Aerial Platforms were similar in design to personal repulsorlift airhooks used for both civilian and military purposes. Designed to travel fast, the STAP's only weapon was a twin blaster cannon connected to it. High voltage energy cells powered the machine. Each STAP was piloted by a single B1 battle droid that stood on a long foot panel, gripping a pair of handles that controlled its weapons and were used to pilot the craft. B1 battle droids usually piloted these STAPs. 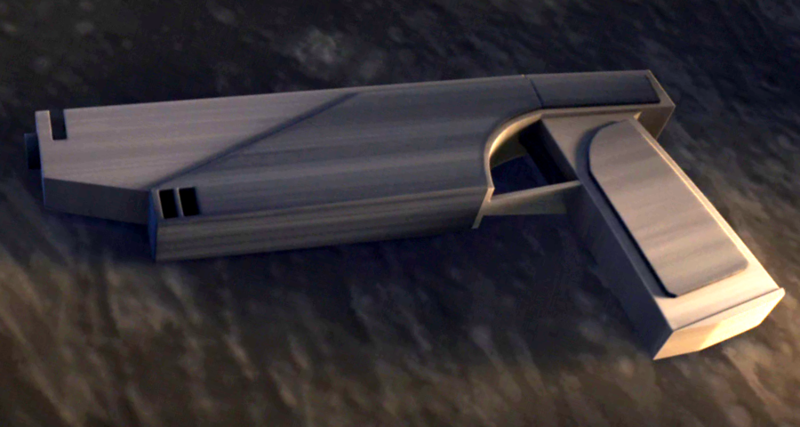 STAPs utilized by the Trade Federation prior to the Clone Wars tended to be brown in color; Separatist STAPs were predominantly blue with white triangular markings. The STAP-1 was used for scouting and anti-personnel hunting operations, and would occasionally be used in open battle to harass enemy forces. Because of its open design, STAP units were vulnerable to enemy heavy weapons, making them rely on their speed and agility to dodge enemy fire. There was also a heavy STAP with larger laser cannons and a missile launcher. It was the counterpart to the Republic 74-Z speeder bike. Single Trooper Aerial Platforms were used over 3600 years before the Battle of Yavin by the forces of the Galactic Republic and the Sith Empire. 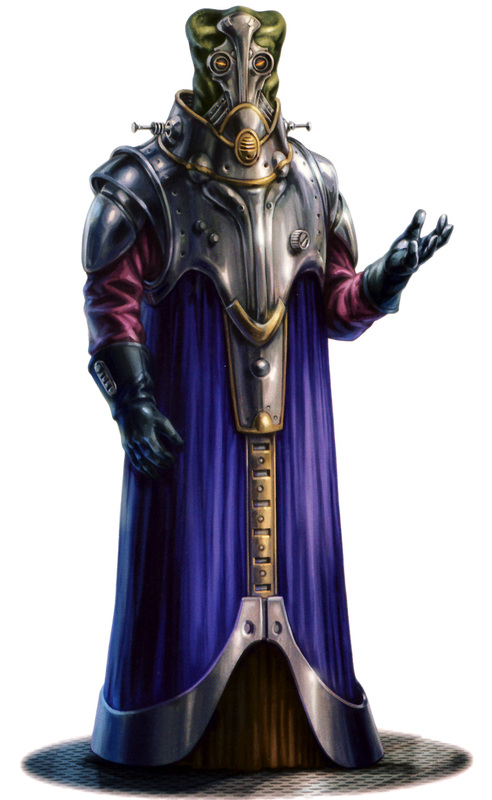 STAPs were used extensively during the Invasion of Naboo in 32 BBY, where Trade Federation forces used them to great effect against the Naboo security teams and to subjugate the local populace.